Let’s imagine that you just had a long day of work, school or life in general – and you feel like your Vyvanse is starting to wear off. Uh oh. You feel a Vyvanse crash coming on. What are you supposed to do? Well, you’re going to need a Vyvanse crash cure. This article gives you 7 actionable tips that you can use to survive your daily Vyvanse comedown, and feel pretty close to amazing most days of the week. But first, let’s go over some important insights about Vyvanse crashes (like what they are, and why they occur). Because, learning about the impact that Vyvanse has on your brain and body will help you understand how to best fix your Vyvanse crashes. What exactly is a Vyvanse crash? A Vyvanse crash is simply the point in the day when Vyvanse begins to leave your system, and you start to feel bad as a result. Most people with ADHD experience the benefits of Vyvanse for roughly 8 to 12 hours. And, once the benefits of Vyvanse begin to “wear off”, you probably start to feel tired, annoyed, and like you’re dealing with a severe case of brain fog. Since most people take Vyvanse early in the morning (usually between the hours of 5 am to 9 am) – most people are going to experience Vyvanse crashes in the late afternoon or early evening (let’s say 4 pm to keep things simple). What causes Vyvanse crashes to happen? Vyvanse is a prescription ADHD medication that tends to work extremely well for people with ADHD. This provides people with ADHD with a feeling of calmness, control and mental clarity for roughly 8 to 12 hours every day. 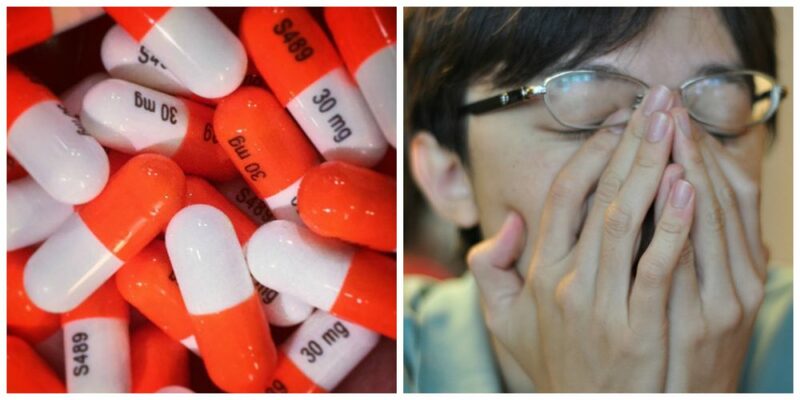 But, once Vyvanse begins to wear off, people with ADHD typically feel a lot less “sharp”. Cognitive performance goes down, grouchiness ensues, and life becomes a little bit more difficult in general. Sometimes, people with ADHD also experience Vyvanse crashes earlier than expected because of something that they ate or drank during the day. Acidic foods and drinks can excrete Vyvanse from your system at a more rapid pace. So, if you accidentally drink a glass of cranberry juice, or eat certain fruits early in the day, this can cause Vyvanse to leave your system earlier than expected (which often leads to an early Vyvanse crash). This article is all about the practical and easy steps that you can take to eliminate 99% of the mental pain and fatigue that comes with Vyvanse crashes. I’ve actually used the following tips in my own life. So, I know first-hand that they work extremely well. Just check out the following 7 tips to minimize your chances of experiencing a Vyvanse crash. Drinking a green smoothie should always be your first line of defense against Vyvanse crashes. Many people who take Vyvanse don’t eat fruits or vegetables throughout the day. So, flooding your brain with the vitamins found in apples, spinach, pineapple, kale, ginger or any other healthy fruits and vegetables is an amazing way to kill Vyvanse crashes as soon as you sense them coming on. I like to drink a green smoothie as soon as I finish my work for the day (usually around 4 or 5 pm). As soon as I drink my daily smoothie, I feel a lot better almost instantly. Working out always makes you feel better. Regardless of the tricks that your mind plays on you before going to the gym. 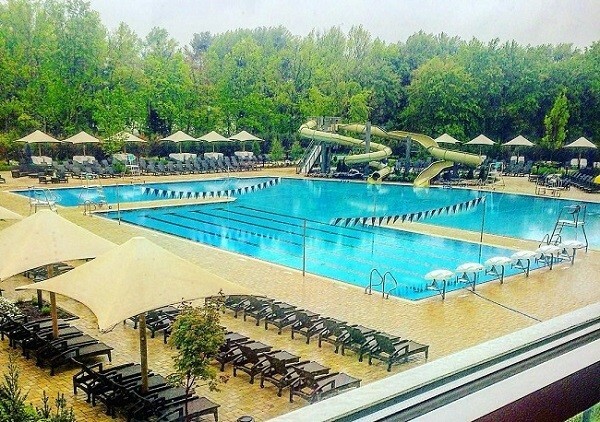 The best time to hit the gym is whenever you can fit it into your schedule. Absolutely any time will work. Staying active, fit and healthy will put you in a much better position to deal with any potential Vyvanse crashes that you have to deal with. However, if your schedule is flexible, I believe that the perfect time to hit the gym is in the evening (let’s say around 5 or 6 pm). At this time, the energy in the gym is high, and this usually makes it easier to work out. Plus, this is also the best time to release all of the tension that you’ve built up during the day. My evening gym workout session is just as much of a “mental cleanse” as it is physical. I’m convinced that anyone with ADHD can benefit tremendously from an amazing daily workout. Especially if you take Vyvanse on a regular basis. I’m usually the first person to preach about the need to consistently eat healthy food while taking Vyvanse. But, I’m definitely not perfect. I’m far from perfect. So, I constantly forget to eat while taking Vyvanse too. I usually forget to eat when I become too focused on writing articles, doing outreach, or occasionally messing around on YouTube. When you use Vyvanse to take control of your ADHD, you can actually end up getting so focused on anything – that you forget to eat food. This is a huge mistake. One of the best things that you can do while using Vyvanse is eat a big, hearty breakfast to start the day. I’m talking about eating organic eggs, sprouted bread, Swiss cheese, etc. You want to eat a big and hearty meal to start your day, because Vyvanse seems to work best when paired with healthy fats. 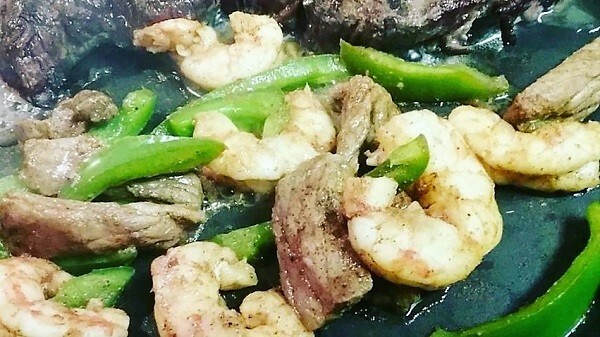 If you aren’t a breakfast person, then just make sure to eat a healthy lunch and dinner that consists of high-quality meat, brown rice, vegetables, nuts – you get the picture. Most importantly, you should remember to snack on brain food throughout the day. This is probably the most important step you can take to prevent crashing on ADHD medication. I always make sure to keep Quest bars (Amazon) and healthy mixed nuts on hand whenever I know that I’m going to be roaming around during the day. Overall, eating a big and hearty breakfast, and snacking on healthy foods throughout the day are two of the best eating habits that you can practice if you use Vyvanse regularly. Using a food-based multivitamin is probably essential if you’re expecting a Vyvanse crash. I actually don’t take multivitamins in the morning, because they can interfere with Vyvanse’s effectiveness in the first half of the day. 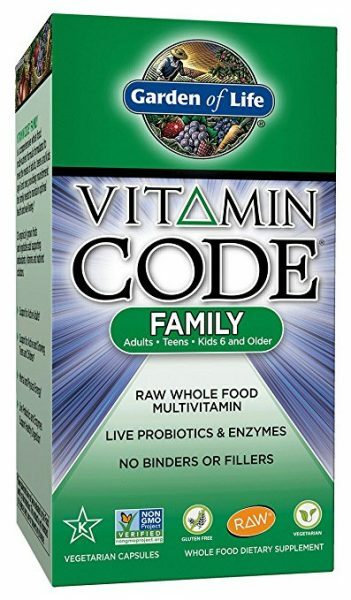 Instead, I take a Garden of Life Vitamin Code multivitamin (Amazon) as soon as I feel like my Vyvanse is starting to wear off (usually around 4 pm or so). This is also the point when I’ll take raw zinc, vitamin D and a few other useful ingredients. I love to use a good food-based multivitamin, because you can usually feel it “hit” in a good way. They help a lot with coming down from Vyvanse, boosting your immune system, and simply feeling healthier. I’m personally not a huge fan of remedying Vyvanse crashes by adding even more medication into the mix. But, it’s worth noting that it’s common practice for doctors to prescribe a small afternoon “booster dose” of amphetamine salts in order to “fix” the Vyvanse crash. If you have a demanding career that requires you to perform for 12 hours every day, then I understand using an afternoon booster dose of amphetamine salts to deal with your Vyvanse crash. I imagine this is common if you work on Wall Street or in the Silicon Valley tech start-up scene. Certain high-performers with ADHD genuinely need the extra medication boost in the afternoon. And, there’s nothing wrong with that. I ultimately can’t judge anyone for choosing to go this route. It’s your life. Only you and your doctor are in a position to decide if using additional ADHD medication is the best choice for you. I drink filtered water, coconut water, and fresh juice like I’m constantly dying of thirst. I typically drink over a gallon of liquids every day. No soda, though. When you take Vyvanse, it’s super important that you stay well hydrated. Vyvanse is a stimulant medication, which causes most people with ADHD to run a little bit “hot”. You’re going to feel thirsty when you take Vyvanse. So, simply drink a lot of healthy liquids to compensate. 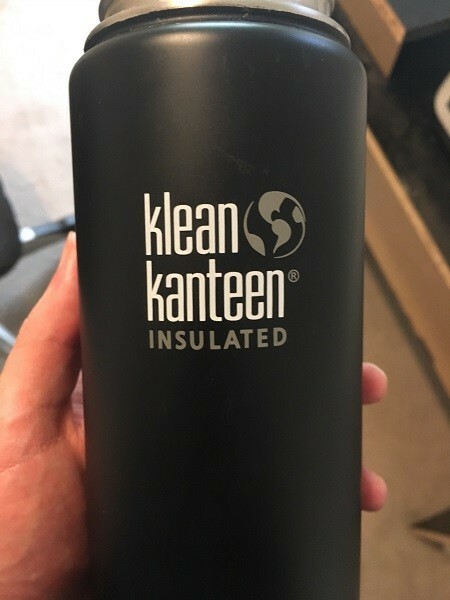 I recommend keeping a Klean Kanteen (Amazon) on hand. It’s the best water bottle that I’ve used because it’s insulated (great for hot and cold drinks), BPA-free, toxin-free, and totally leak proof. You can just drink from your Klean Kanteen every day, and continue to refill it with your beverage of choice. Believe it or not, drinking from a good water bottle actually makes it a lot easier to stay hydrated. They say that prevention is the best medicine. And, I’ve found that getting good sleep with ADHD magically eliminates most problems related to lethargy, drowsiness and crashing while using ADHD medication like Vyvanse. Of course, sleep doesn’t solve all problems. If that were the case, then we wouldn’t be dealing with ADHD, since we would hypothetically just “sleep away our ADHD symptoms”. But, I’ve personally experienced the difference between sleeping 5 to 6 hours most nights of my college career, versus sleeping for 8 to 9 hours as someone who now values sleep a lot. Trust me when I say that life is a lot better when you make time for deep sleep. Getting plenty of high-quality sleep will help you look better, feel better, and avoid crashing on Vyvanse. When you sleep well, your ADHD symptoms will most likely improve in general as well. Side note: I know that it can be extremely difficult to sleep for 8 to 9 hours after using Vyvanse. Realistically, most people who take Vyvanse probably sleep 6 to 7 hours. That’s fine if it works for your body and lifestyle. The point I’m making is that you should simply try your best to get high-quality sleep while using Vyvanse. This will help to minimize your chances of experiencing a Vyvanse crash. At this point in my life, I try my best to live a lifestyle that limits my chances of experiencing a Vyvanse crash. I practice every single tip that’s listed in this article to the best of my ability. So, I strongly believe that if you apply these 7 tips to your own life, you can live a live a healthy, productive and exciting lifestyle with ADHD…with very small odds of experiencing a crash from Vyvanse. 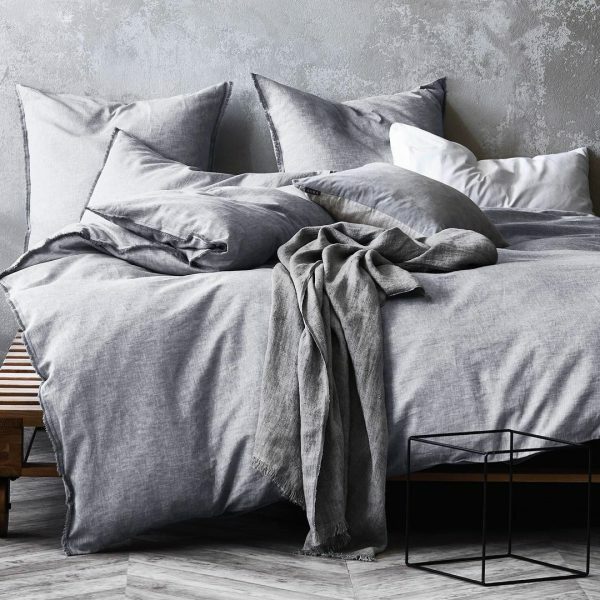 These 7 tips make up the ultimate Vyvanse crash cure, because they’re basically all that you need to feel pretty close to amazing most days of the week. I rarely experience crashes from Vyvanse any more, because I try my best to eat healthy, drink plenty of liquids, exercise, use high-quality supplements, and sleep well. And, I know that you can achieve this level of comfort while using Vyvanse, too. Just make the necessary tweaks and adjustments to your life, and you’ll soon feel like a happier, healthier and more productive human being with ADHD. I promise it’s just that simple. Thanks so much for your comment Jeanine. I recommend implementing just one tip at a time. There’s no need to do everything at once. Feel free to go at your own pace! What are your experiences with green tea and Vyvanse? The verdict is still out for me as far as how they interact. Hi Robin. I feel like a little bit of green tea is super synergistic with Vyvanse. But as soon as you drink too much, it’s really easy to get overstimulated. Interesting, thank you for the insight. Is the vyvanse crash from the drug due to its progress leaving your system or from it being almost completely out? You say to avoid acidic foods but then say to drink a smoothie which has plenty of acidic foods in it, is this to speed up the metabolic process during the final time it is in your system, to end the crash sooner? Would neutralizing the acid in your digestive track through consumption of non-acidic foods slow down the drug’s metabolic rate? Hey Kails. Thanks for leaving your thoughts on here! You’re asking some great questions, which I unfortunately don’t know all of the answers to. In this type of situation, I can only speak on what has worked for me. So, it’s best to avoid acidic foods when you want to keep Vyvanse in your system. But, once your Vyvanse has start to worn off, then you can drink an acidic smoothie, and flush the remaining Vyvanse from your system. I think you answered your own questions, since you seem to have a pretty good grasp of how this all works. You’re very welcome Cari. Thank you! Hey there, would you be able to give a recipe for the green tea smoothie? Thanks! My green smoothies usually consist of kale, spinach, apple, mango, banana, and a little chunk of ginger OR garlic (but not both). The key ingredient is really the kale or spinach, because leafy green vegetables are so good for you. So as long as you get your leafy greens, you should be good to go. I have a juicer, can I make green juice instead of a green smoothie? Might be a dumb question, but your article is very helpful and I will definitely be taking all of your advice and adding it to my daily routine. Thank you!!! Hi Leah. 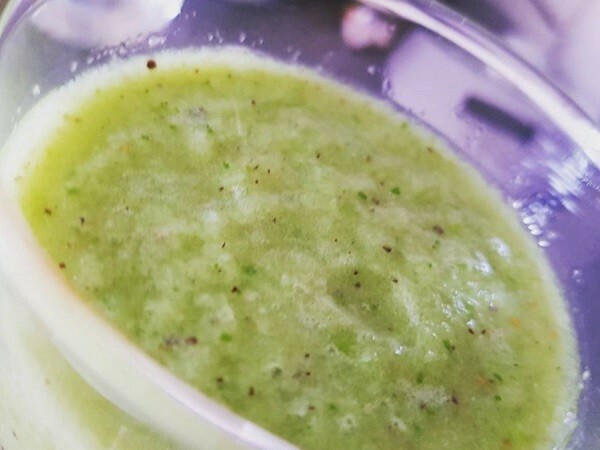 Yup, you can definitely make green juice instead of a green smoothie. I think green juice is delicious too. You’re very welcome for the article. I appreciate you reading! Hi Brittany, thanks for commenting on here. I don’t think that’s normal. Are you drinking enough water? Either way, please see your doctor for best results, because we aren’t qualified to give specific medical advice here. Thanks for the article. It’s nice to come across an article that is truly helpful. Do you have any advice/experience with taking and SSRI for BRFB? I moved my SSRI to night thinking it might contribute to being so tired during the day. Issues have gotten worse tho so thinking I may need to take it in the morning with my vyvanse. I also take NAC, but haven’t noticed any improvements. Thank you! Thank you for your comment Sara. Really interesting question, because I’ve never thought about how one might deal with BRFB. I don’t have any experience using SSRI’s, but I’ve heard that they work well for some people. So I can’t help you with the BRFB. Yeah this is something that you should definitely take up with your doctor, because there are so many factors that play into how you feel on any given day. I wish you the best of luck though Sara. Thanks again. My dr. prescribed an add on to my 70 mg of vyvanse and it helps. I don’t want to rely on this; I am curious if 1) going down to 60 and taking the dosage with not one pill; maybe a 30 mg x day. Also, I was thinking if my add-on was increased a bit, they I would feel better; hence less vyvanse. The adderall helps alot.Any thoughts? Hey Audrey. Thanks a lot for your comment. Everyone is different, and has different body chemistry. So, I encourage you to do whatever you believe works best for your lifestyle. You should do whatever helps you get the best results for your life. Also, this is more of a question for your doctor (I wish I could be of further help). Thanks again, and I wish you the best of luck. Great read. I take 60mg vyvance daily at 9am everyday. I feel by 1pm it starts to wear off and I get a lot of anxiety and neck ticks which I’ve never experienced before. Has that every happenend to you before? Thank you for the kind words Kayla. I believe anxiety and tics can be an issue for some people! Vyvanse saved my life. After suffering from ADHD for many years I am extremely thankful for this miraculous drug. After reading this site I will incorporate some of the advice that helps maintain throughout the day. For anyone struggling with depression/ptsd/ ADHD should try Vyvanse. So great to hear this Bobbi. Very happy for you. Thanks for commenting! Thanks so much for the comment Bobbi. Vyvanse works wonders for many of us with ADHD. I’ve noticed even more severe crashes with Adderall personally speaking. But your results could be different. You’ll have to chat with your doctor and figure out what works best for you Doug! Hi this is such a helpful article on how to deal with coming down from vyvanse. I’m searching to find does vyvanse make anyone else crave certain things throughout the day? Vyvanse is such a double edged sword. Without the medicine I don’t crave these things at all. On the medicine I crave a cigarette during the day and beer when I come down. I don’t understand this at all. Very interesting Lorrie. I know people crave cigarettes while on Vyvanse, but I wasn’t aware that people crave beer as well. Thank you for leaving your thoughts on here anyway. I appreciate it! What is your take on Vitamin D as an add-on? I took Vyvanse 40mg at about 10(late morning) it’s only mildly effective for me, however, at about 3, I took Vitamin D supplements…. an hour later, the worse dizziness, tachycardia I have ever experienced. Now I am thinking of taking it at “crash time” perhaps in a lower dose. Any experience? Very interesting. Most people have no issues taking Vitamin D in the mornings. I don’t hear much about people taking it in the afternoons. Not sure what’s going on here Kelly! I would ask a doctor though. I always see the typical articles that just give the WebMD facts about Vyvanse… This is the first time that I have read an article that I feel I learned from! Thank you! I had no idea there was an actual Vyvanse Crash I figured there was some withdraw but never thought into it to much and explains why some days I seem to crash earlier than others. I’ve luckily been able to get my ADHD confirmed and keep my Vyvanse Rx after a drug relapse on meth. Part of my relapse was bc of the waiting period for it to take effect when my infant was up early, and then forgetting to eat and crashing by 4pm just in time to go to work! I was skipping the vys altogether when using but I feel like getting an extra dose for the last part of the day might be kind of impossible now. Or like someone said, a lesser dose in the morning with a pm boost, which I asked my Dr for at 60mg. I believe she said it was an insurance issue so she just upped the dose to 70mg. I’ve been trying to get back my 8 month old from CPS by doing treatment and going to multiple agencies for help finding work etc and they’re really running me ragged! By 3pm I’m wiped out even if I eat. I also have bipolar and anxiety, and SSRIs make me suicidal, but lorazepam has helped in the past. So my real problem is this: I feel like the prescriber is just going to act as if I’m trying to get high on controlled substances but I’m not. I would just do street drugs if that was the case, and I’ve been staying sober for the past 6 weeks. Thoughts? Honestly I think you’re doing the right thing. 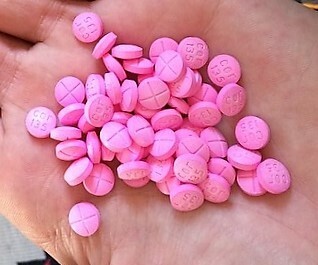 Vyvanse is a much better alternative than any kind of street drug. People who are naturally wired to seek drugs often have ADHD, so I don’t blame you for your actions or anything like that. I’m not one to judge, as I’ve done some wild things in the past as well. This was very well written and helpful, thank you! I have just started taking Vyvanse, usually taking it at 8am and by 2pm the shakiness and irritability start and by the time I get home at 5pm the anger is pretty bad. Due to recent events in my life, I take an Ativan 0.5mg at bedtime as needed. Last night the Ativan didn’t touch the bedtime anxiety and I was only able to get 3-4 hours of sleep. Any suggestions? That’s a tough situation Angie. Are you exercising and eating healthy food? I was always able to get at least 6-7 hours of sleep on Vyvanse. Try doing a strenuous workout at your local gym around 6pm or 7pm. That should tire you out, and help you sleep. Remember to drink plenty of water, and focus on diet/exercise.